This item is design by TCP Lighting to offer excellent color consistency with a color temperature of 3000 kelvin. 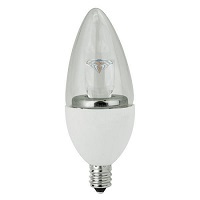 It provides 300 lumens for light output from only 5 watts. This item is expected to give at least 25,000 life hours. There is also a 5 year warranty for this product.